The men and women on the frontlines of conservation are perhaps the most important protectors of the world’s natural and cultural treasures. Rangers work tirelessly to protect endangered species like tigers, elephants and rhinos, which are targeted by poachers for the illegal wildlife trade. They usually earn very little and some go months without receiving their salary or seeing their families. Please, give what you can. 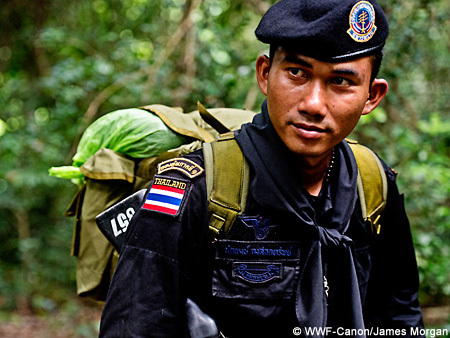 100% of your donation will benefit WWF’s Back a Ranger project, which helps rangers get the equipment, training, resources and infrastructure they need to stop wildlife crime. Will you back a ranger today? Our donation process is fully encrypted to ensure all personal and financial information is kept safe & secure.